"Oh my dod, oh my dod, thank you Mummy!" That was Little N's reaction when his new Go Jetters Toys arrived for us to review. He's recently gotten really into the new exciting animated series which features four international heroes traveling the globe with their friend and mentor Ubercorn, a disco-dancing unicorn, to save the world’s most famous landmarks from the mischievous meddling of Grandmaster Glitch! The brilliant Jet Pad playset (£39.99) opens to reveal the the Go Jetters' headquarters as seen on the TV series. Inside the Jet Pad is a projector which shines eight different images of famous global landmarks when the dial is rotated, some of which have been "glitched"! There is a button to activate the Go Jetters theme tune, which is oh so catchy, as well as other phrases and special sound effects. The Jet Pad has an upper level with a little ladder to get up and a slide to get down. There is a special slider to reveal a secret room which holds Kyan's G.O. Boots and G.O. Grab extendable arm (my boys have managed to lose the arm already)! 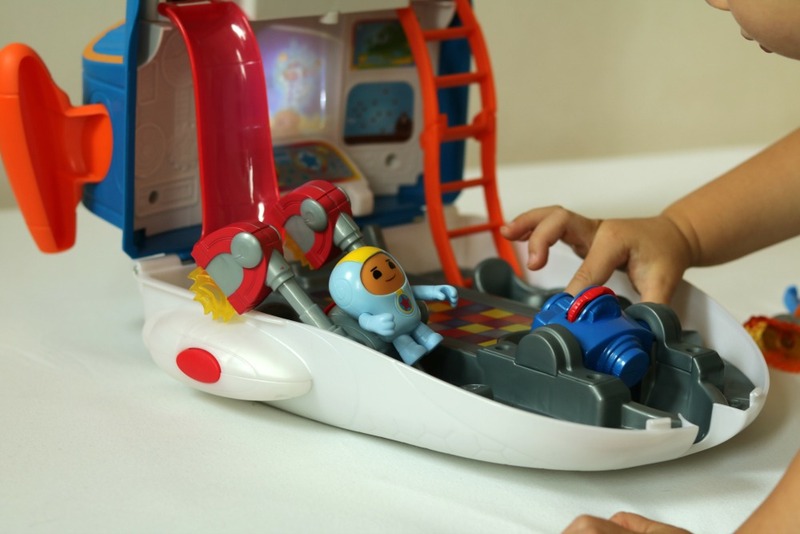 You can fit all four Go Jetters figures in the Jet Pad playset; Kyan is included in the playset along with the G.O. Boots and G.O. Grab extendable arm, and the other figures are available separately such as Foz which we have. Foz comes with a jet pack click-on and a landmark figure, which guess what, the boys have lost! I seriously need to organise their toys better! Another of the Go Jetters Toys we got was the talking Go Jetters Ubercorn plush toy (£19.99). 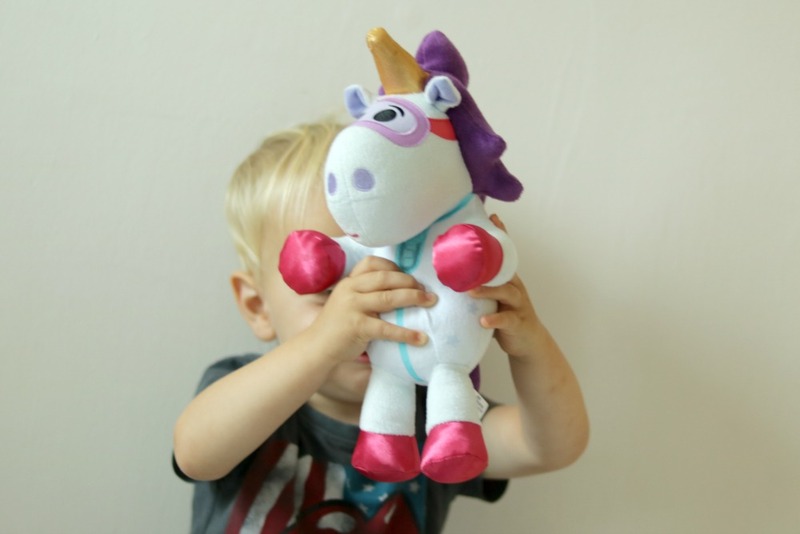 Ubercorn is the Go Jetters disco-dancing unicorn friend - isn't he just fabulous! Press his tummy and he says phrases from the animated series, as well as special facts and the Go Jetters awesome disco theme tune. JJ is besotted with soft toys and dolls and Ubercorn has joined his collection at the end of his bed. At 33cm tall, he's just the right size for cuddling up to at bedtime. 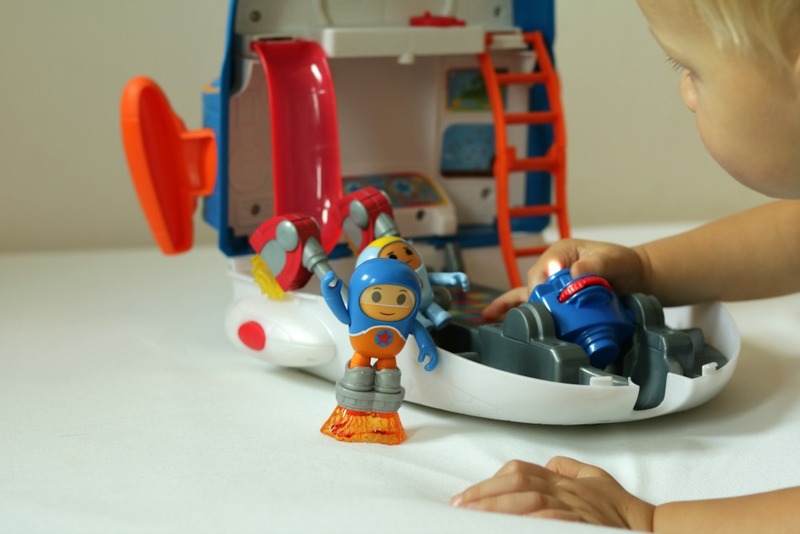 My boys are absolutely loving their new Go Jetters toys. It's lovely for them to have something that they both enjoy and can play with together without bickering, and I love seeing them interacting together and making up special missions for their little Go Jetters figures. 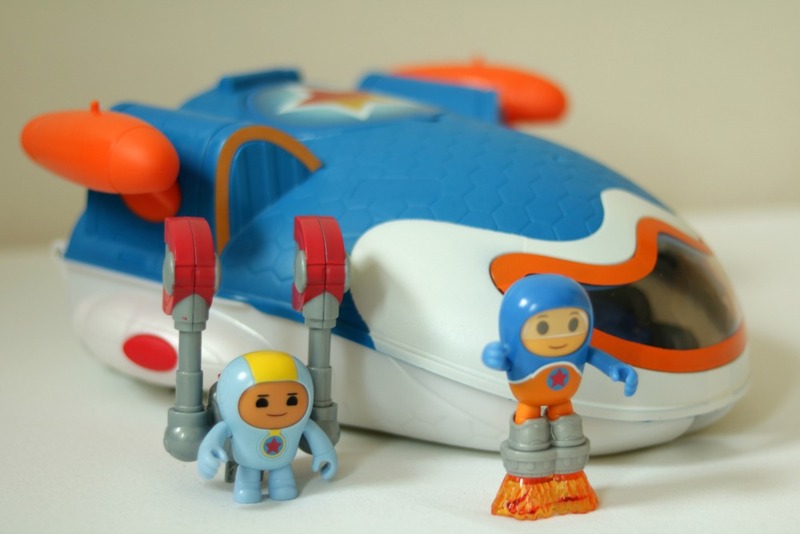 Are your children fans of the Go Jetters? Who is their favourite character? With thanks to Mattel for sending us these toys to review.